Larkspur's was the second poster I worked on for Anime Festival Orlando. 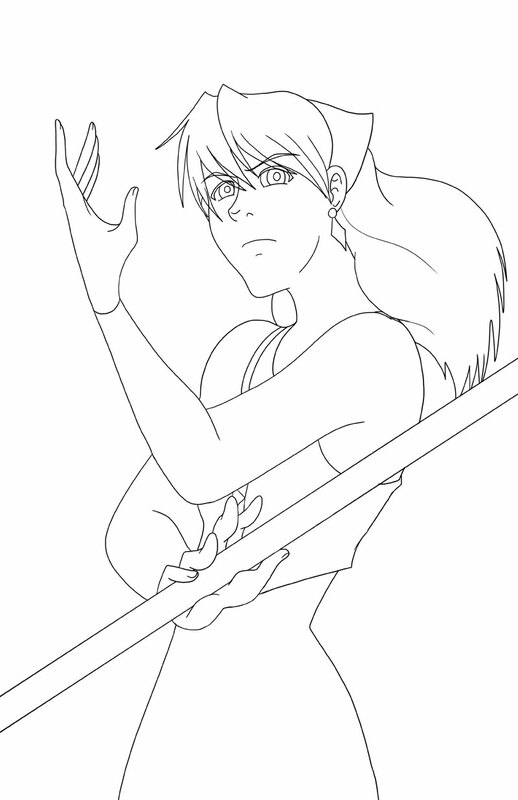 I wanted her to have a more 'assertive' pose, instead of the meek stances she usually has. However, it was important for Larkspur's assertiveness to carry through into more of a determined and strong pose, and not necessarily aggressive or angry. Larkspur is the type of person who is strong in a much more quiet way. Another difference between her and some of the other posters was that I focused on lighter colors to help give the impression of her using restorative magic. For her pose, I spent some time looking for stock photography of a woman with a bo staff, looking graceful and with a stance that I could work with on a magical standpoint. This stock image from SenshiStock was perfect for the job. After the first, initial sketch, I flipped the image and drew over it again. Flipping the image lets me see imperfections more clearly, and fix them in the next draft. 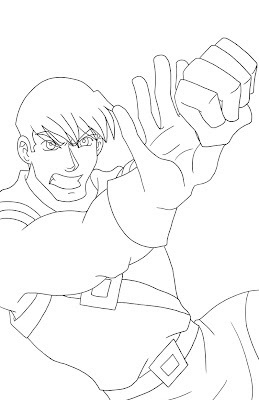 Once I was happy with the sketch, I inked the image in Photoshop, then vectorized the lines in Illustrator. 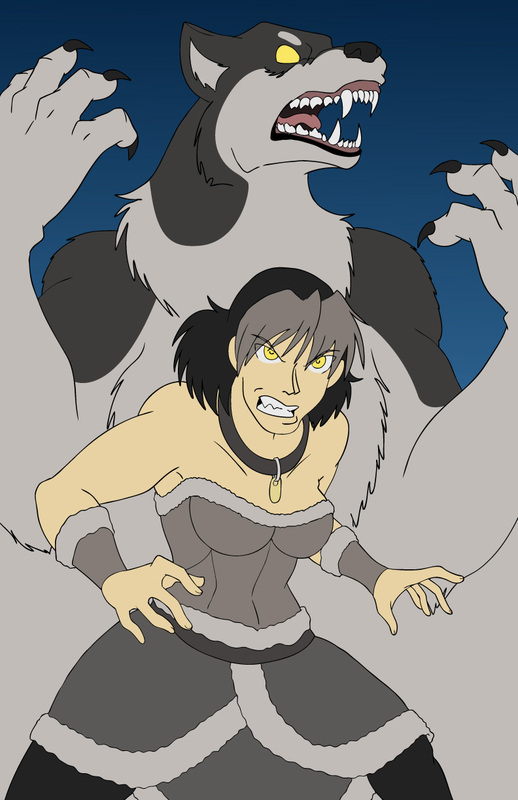 Here, I added flat colors, and a gradient background to give me an idea for where her light sources are going to be coming from. Added glowy ball of healing and some magical sparkly things at the bottom, as well as shadows and highlights. More glowy things at the bottom, more glowiness on the ball of healing, and shines in her eyes. Finally, I added a very light blue color on top of the entire image, as well as the logo and linen textures! Unlike Rori and Cain's posters, I didn't have to add any kind of gradient behind the logo, because the bright energy provides enough of a contrast for the logo to stand out without any additional help. 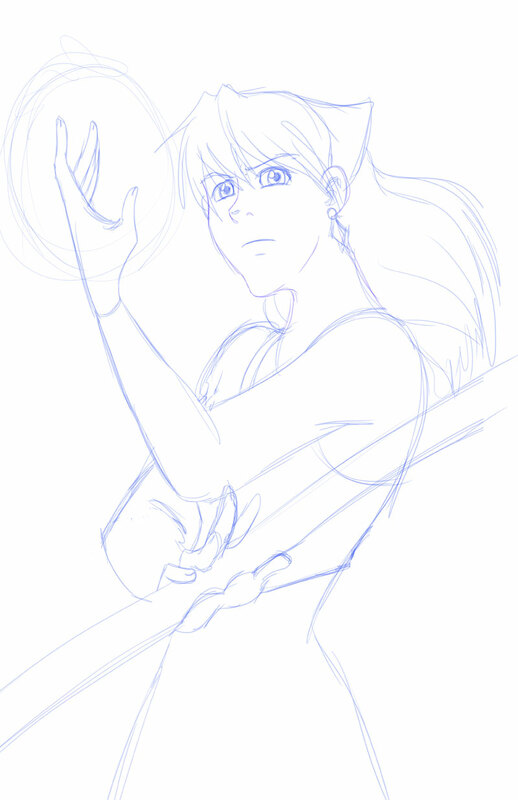 And this concludes the process for developing Larkspur's poster design! I hope you liked it, and that it provides some insight into the process of creating some of Fate Saga's merchandise! While preparing for Anime Festival Orlando 2012, I made posters for Fate Saga's main cast. 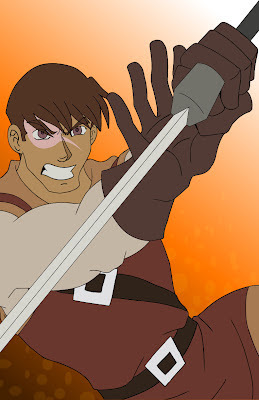 Of course, this would include our main hero, Cain Strata. 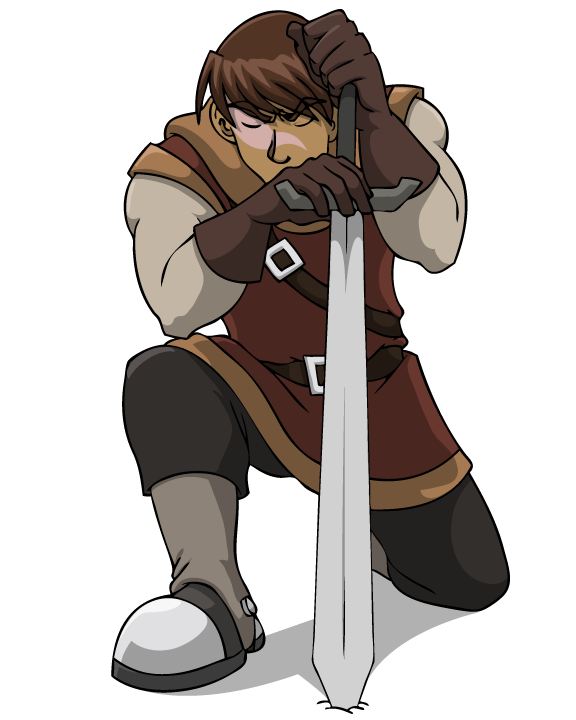 My biggest issue with Cain's composition was figuring out a cool knightly pose that made use of his sword and also looked dynamic. I spent some time looking for poses to reference, and the one I used the most was from a DeviantART user called Senshi Stock. 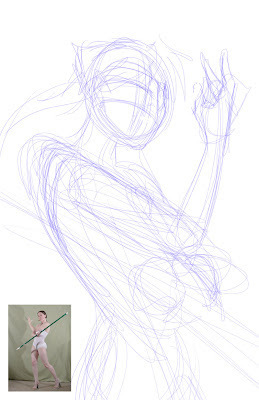 The image I used is included in the first sketch draft, but I referenced this image throughout the whole sketching process. 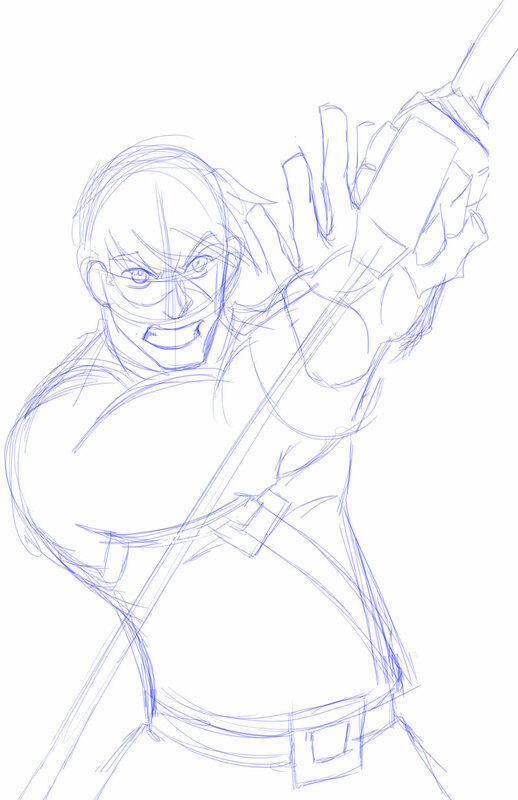 At first, I wanted the sketch to look more like a swing, so I tried twisting his torso a bit. However, I didn't like how it came out and tried again. 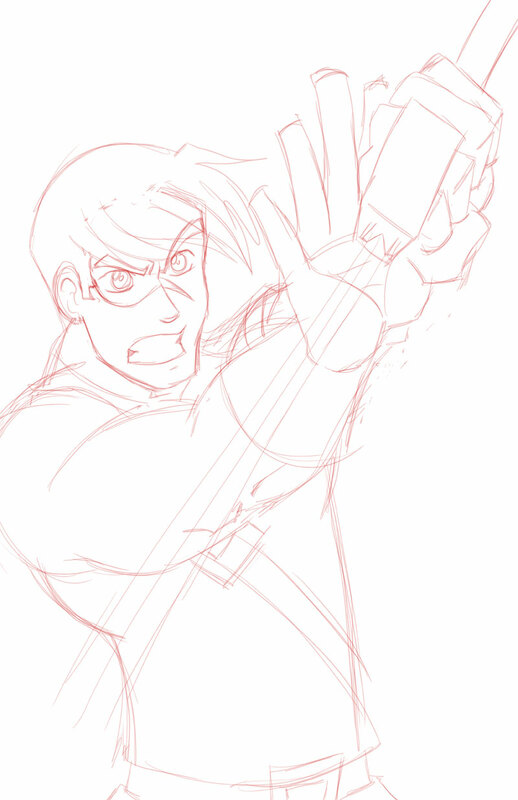 This was the second attempt at Cain's pose. 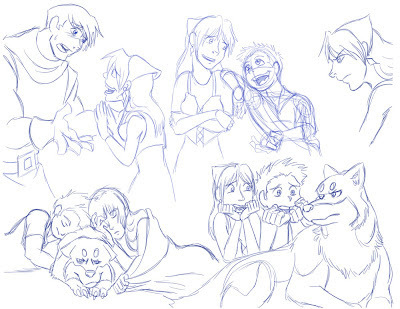 This was closer to what I was looking for, but I felt that Cain's attention was too off-screen. 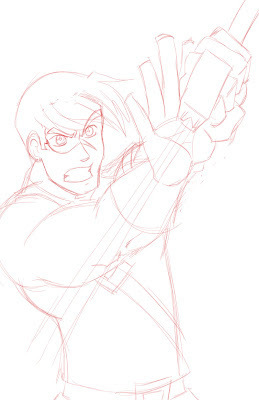 I wanted to make Cain look more towards the viewer, so I tried again, working with the same general pose but just tilting him more towards us. Getting warmer! I liked the angle of his face and pose, now, but he still looked too rigid while standing straight. So I tilted him back and repositioned his hips to give him more motion. When I inked Cain in Photoshop, I opted not to ink the sword, and instead I added it in Illustrator with the pen tool. 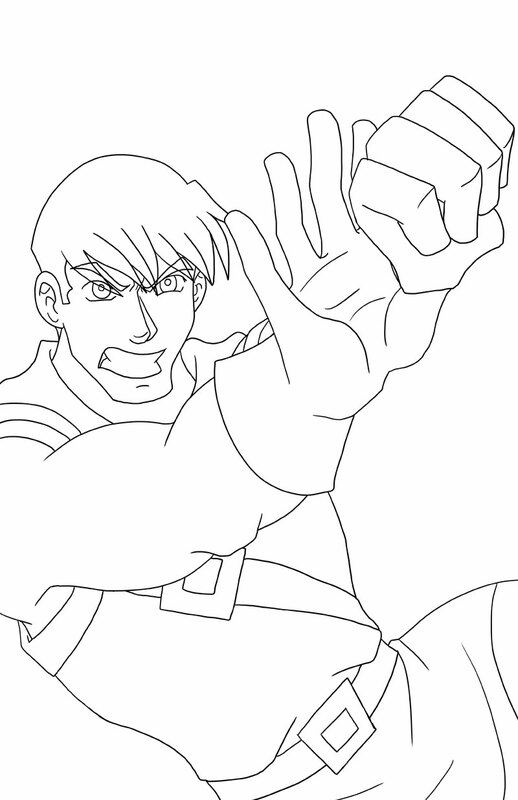 Lines vectorized in Illustrator, sword and flat colors added. Highlights, shadows and more orange bubbly things in the background. Here, I added linen texture, a small dark gradient behind the logo to help it pop out against the illustration, and I added a light gradient at the top right hand corner to help direct the eye and give more contrast. And this is the final result! I hope this step-by-step process provided some interesting insight into creating these posters. Check back soon for more updates! This is a general update for Fate Saga, and will talk about some of my upcoming plans for the project. 2012 has been about tightening up the presentation and getting Fate Saga exposure. 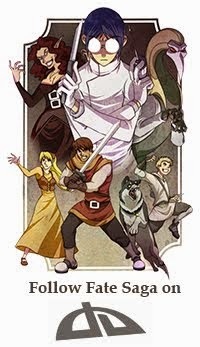 The former was done by re-designing and re-drafting the characters and story, and then creating a new pitch book from scratch. 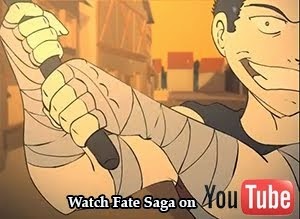 The latter has been started by recruiting the voice talent, introducing Fate Saga to the local anime and comic conventions and beginning the pitch cycle to major studios. It's been a long and still on-going process, but it's been a rewarding and exciting journey. Thus far, we have pitched to two big companies - Nickelodeon and Cartoon Network. The good news is that the responses that we've received for our pitch book have overall been very positive. We've received some great feedback, and there's a certain level of gratification in knowing that our hard work is enjoyed and recognized. That being said, there's a lot that goes into determining what series will get picked up. Of course, it must be a good project, but it must also be able to fit into the demographic and time frame they're looking for right now. It also helps (a lot) if there's already an established fan base. That is part of the reason why Fate Saga has begun its introduction into local conventions - to begin exposing it to the outside world. Strengthening our fan base will only help us as we continue the pitching process. However, the best way to introduce people to the content is by having something physical and story-related to show. 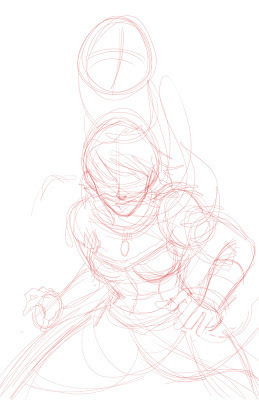 I received some great advice from my fellow artistic colleague and good friend, Aaron Neathery (the creator of the web comic series, Endtown) to make a mini comic to introduce the viewer to Fate Saga's world. With help from my close friends and Taffetas creators Yesenia Carrero and Tracy MacLaughlan, I've come up with some ideas for Fate Saga mini comic plots. I am going to try and get one of the comics finished by next year's MegaCon 2012, to have available for the Artist Alley (which I will be sharing with Yesenia Carrero! We shall take MegaCon by storm!) 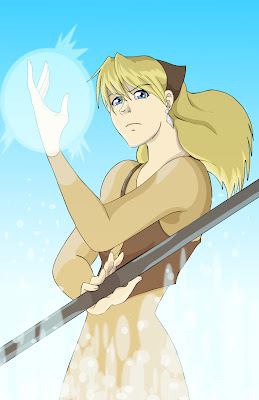 Once I have the mini-comic planned out more thoroughly, I'll start posting some concept art for it here on the blog. I am also thinking about additional merchandise, including T-shirts - our most requested Fate Saga item at conventions. If there are any other Fate Saga merchandise that you would like to see at Megacon 2012, any future convention or even available online, please feel free to message me. At some point, I may hold another Merchandise poll to help determine where to focus my energy. 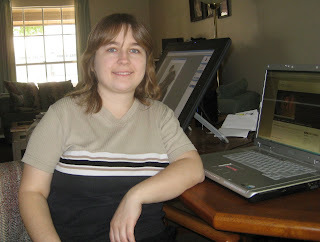 Finally, in preparing for next year's conventions and continuing the pitch cycle taking up much of my time, along with the school year beginning again (I teach Beginning Digital Arts), the update schedule for this blog is slowing down to once a week. From now on, it will update every Monday. 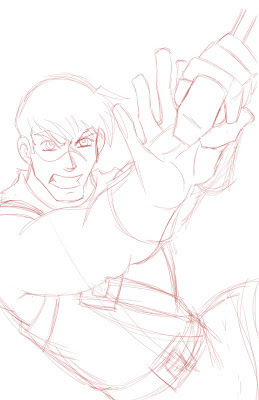 Check back for more updates regarding Megacon 2012, the pitching process, Fate Saga merchandise and the mini-comic! Cain kneeling in a knightly manner. A graphic I drew earlier this year for the pitch book. In preparation for Anime Festival Orlando 2012, I wanted to make some sell-able merchandise for Fate Saga. I figured that, since this was my first time actively trying to sell anything for it, that it would be best to make items that are easy to print, like posters, as opposed to complicated, expensive or breakable products like mugs or statues. 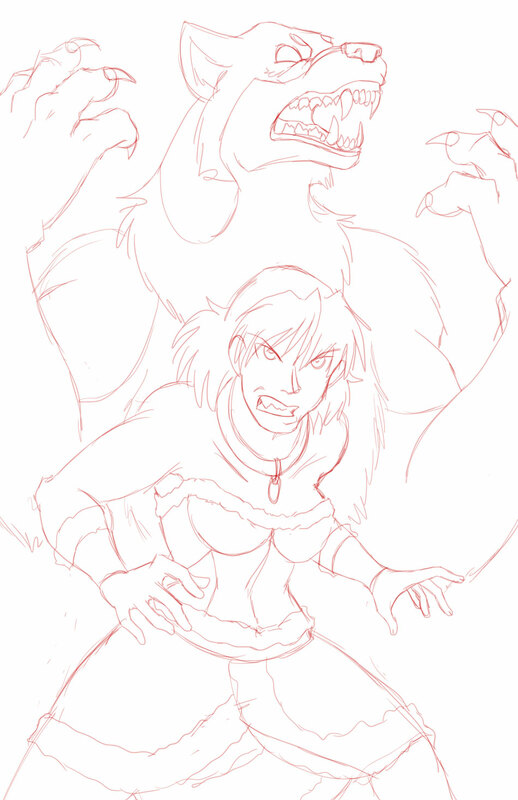 For Rori's poster, I had the added challenge of figuring out what to do with her alternate forms. Rori has three states - 'human', were-form and wolf-form. 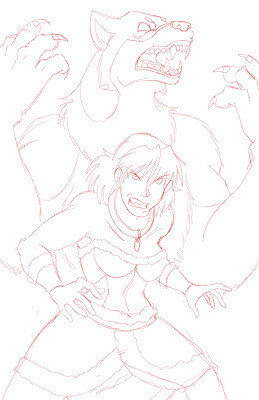 She is predominantly in her wolf form in the story, but her were-form and human forms are much easier to work and pose with. 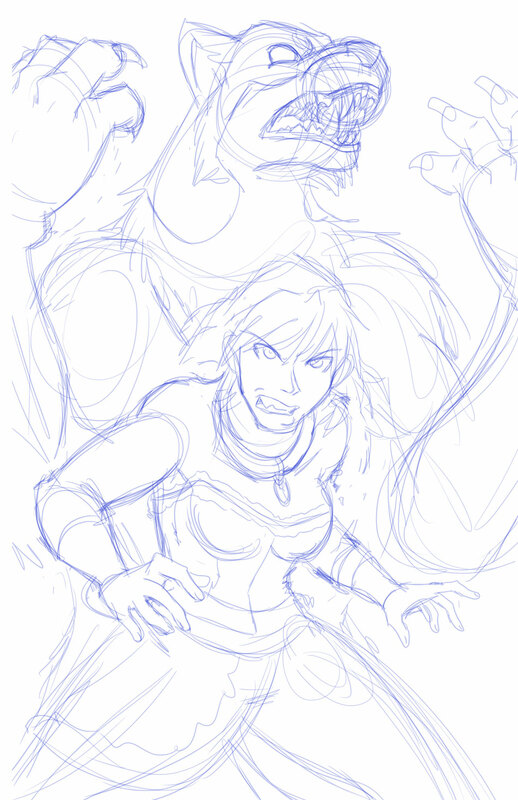 The facial features of her wolf and were-forms are close enough that it usually feels redundant to have all three forms in a single image, so I had been debating which forms to use. I consulted with a friend of mine, Cari Simonetto, and she had suggested the human and were-form would have the strongest appeal together, so I decided to try that first. 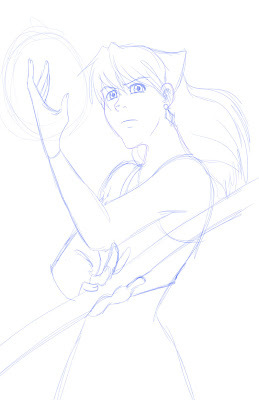 Often, there are very rough, very early sketches of my artwork that I don't usually show. Even if there's only just enough detail to show composition, this was enough for me to see that this forward angle wasn't going to work. It's very stiff and straight down the center, and frankly a little boring. So I immediately scratched this layout and tried another one. Here's my first attempt at Rori's new draft. This pose gives both her and her were-form a better silhouette. It's easier to show the wolf's face's silhouette from a 3/4 view, to outline her snout. 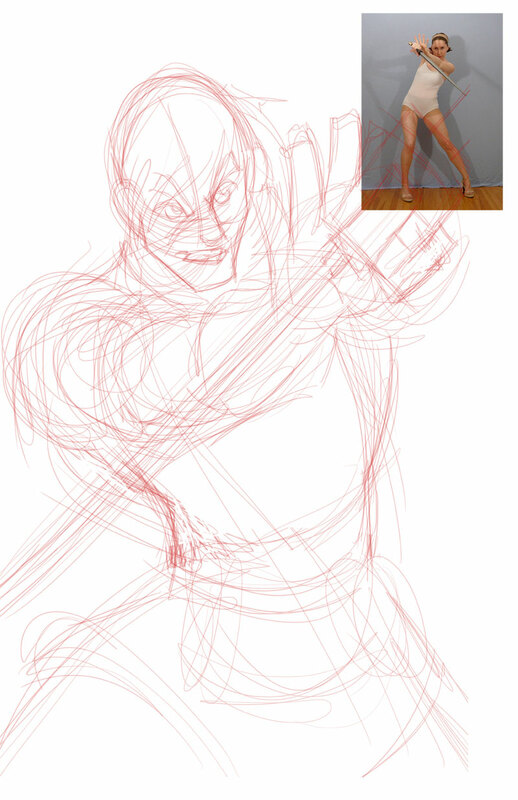 While drafting Rori, I had a hard time finding a good pose reference, so I posed on my own in front of a mirror. 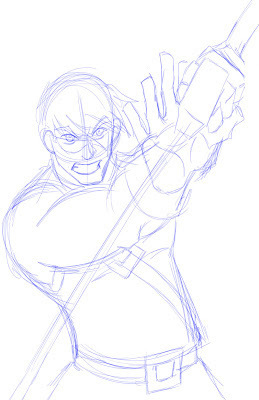 Here is a second, more refined draft of the sketch. 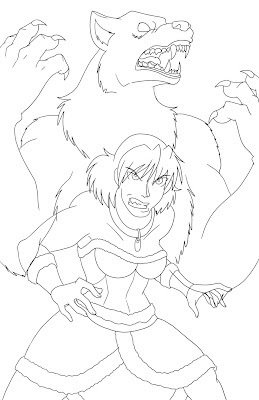 The were and human forms were inked on separate layers in Photoshop, and imported (still in separate layers) into Illustrator. 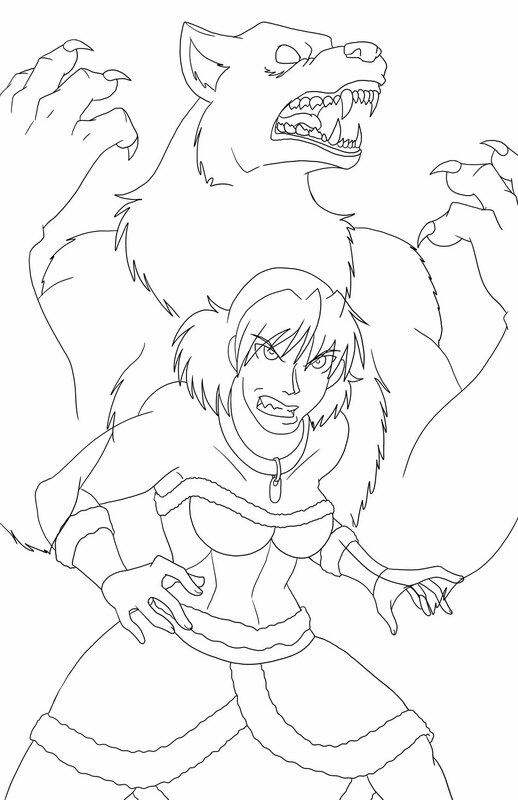 Cari had made a good suggestion early on in the drafting process, to have the wolf fade into the background, so I wanted to keep the two forms separated so that I could play around with that concept. 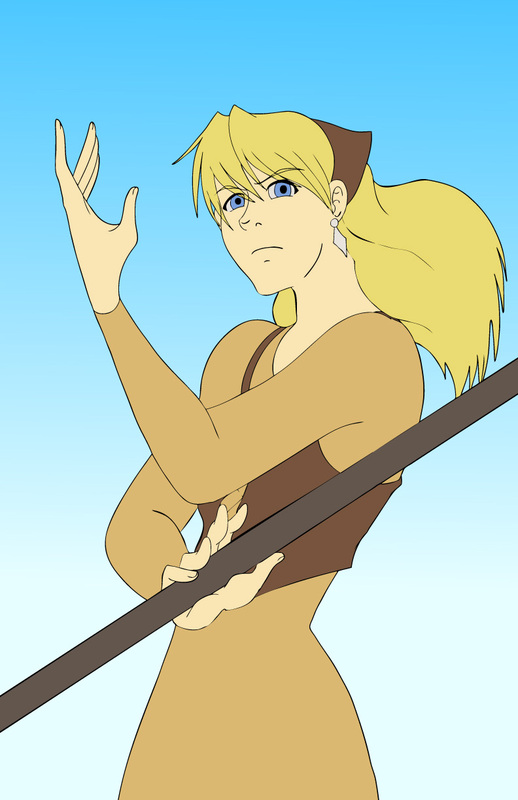 Here, the flat colors are added. Here, the highlights and shadows were added, the background was detailed, and I added a white to black gradient behind Rori and in front of the were-wolf, to make the were-wolf fade to black and have her human form pop in the foreground. I added the final touches, with the logo and linen texture. The logo blended into Rori's legs a little too much, so I added a small gradient between the logo and the illustration to help it pop out visibly. And this was the process I went through for Rori's poster. I'm pleased to see that, in DeviantART and amongst some of my friends, her design has been well-received. A great many thanks again to Cari Simonetto for her help! Today, I'm going to spotlight Larkspur Aucoin, the main heroine of Fate Saga. 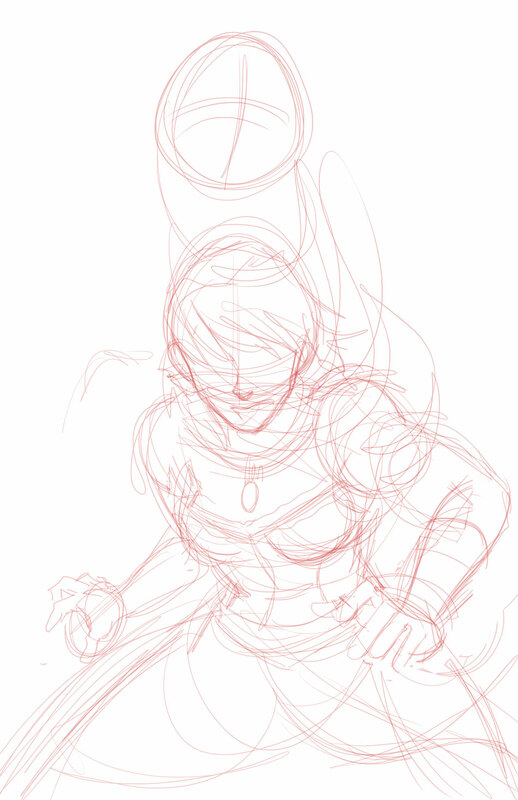 This blog post is going to talk mostly about her personality and her placement in the story (omitting any spoilers, of course). 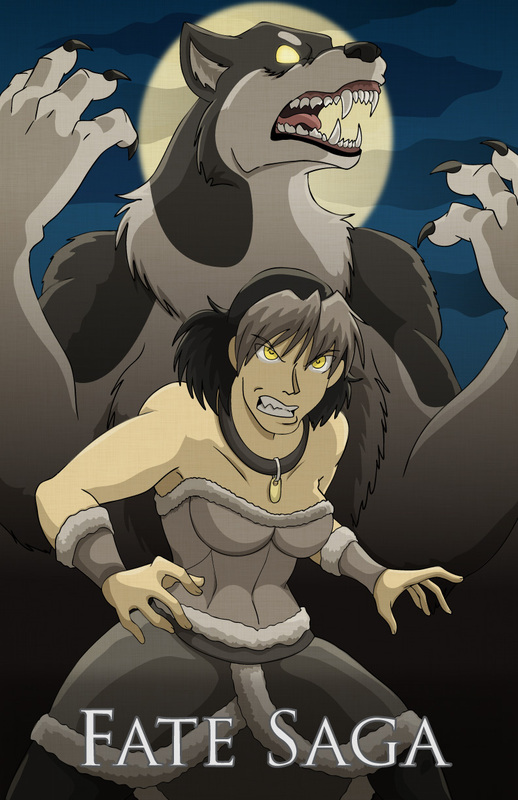 Larkspur's promotional poster, which is sold at conventions. Larkspur is a sweet natured, even-tempered girl who is plagued by social anxiety and a general lack of self-confidence. Despite her fear of talking to people and saying the wrong things, Larkspur is an extrovert and dearly wants to be liked and accepted. 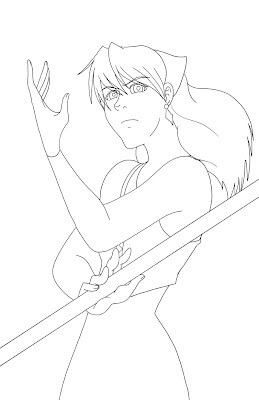 She is a native of Duero, the main town where Fate Saga's story begins. She has lived there most of her life, so she partially serves as a guide and also passes Cain information about the nature of the place. Created last year, this was a Desktop image that features Larkspur's older design. A cleric who works at the monastery in the Middle Class section of Duero, Larkspur's main job is to heal the sick or injured. It is an low-paying, charitable job and with it Larkspur doesn't obtain enough of an income to support herself with. So after taking care of people during the day, she spends a few nights a week as a waitress at The Crystalin, a homey little tavern in the poorer section of town. 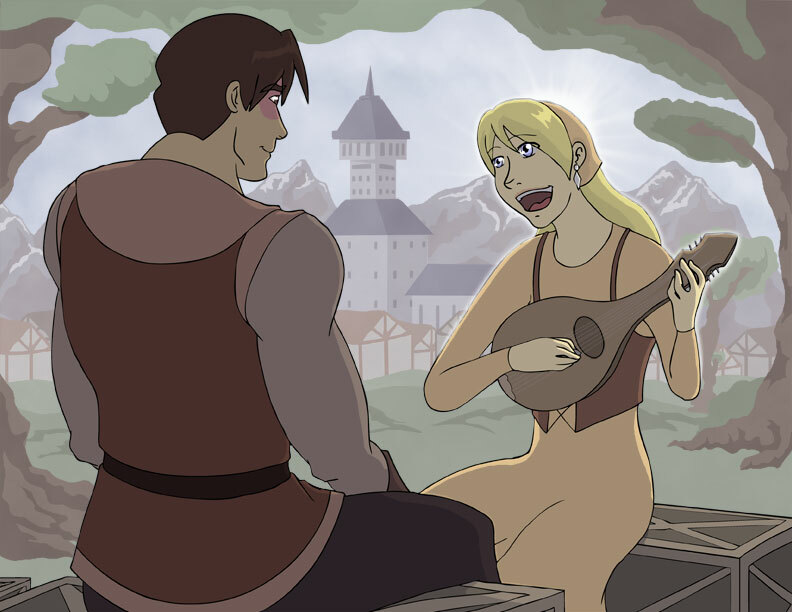 Concept art of Larkspur singing to Cain on the outskirts of Duero. Larkspur also has a passion for music, particularly singing although she can play a few instruments. She uses music as a way to achieve zen, de-stress and calm herself from the anxieties of her daily life. As she gets to know Cain, Guile and Rori, Larkspur brings to them a genuine kindness, sweetness, politeness, affection and sensitivity that none of them are used to. 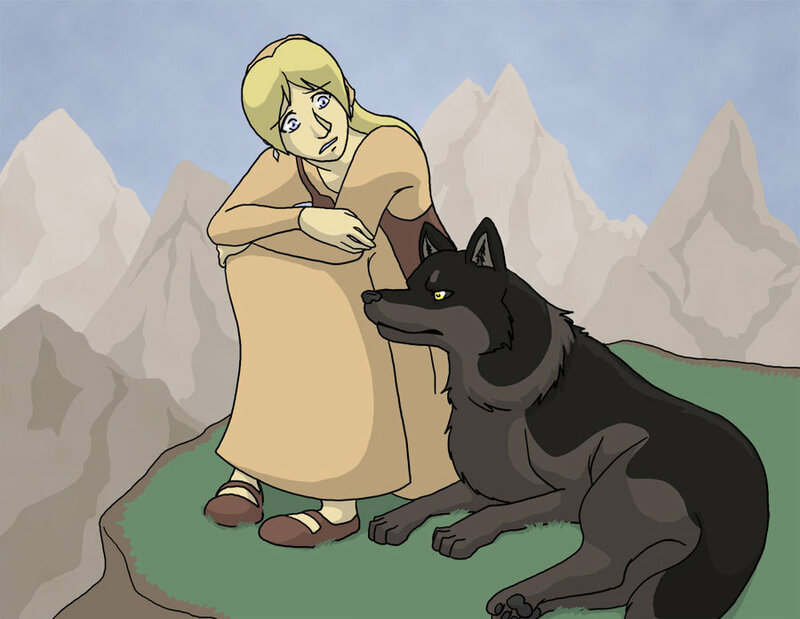 Because of her years spent treating patients at the monastery as well as singing in front of the patrons at The Crystalin, Larkspur is surprisingly calm and adept in situations where most other people would be frightened (such as being on a stage, or handling emergencies). However, she is also a worry wart, socially awkward, oblivious and lacks a backbone. In her want to help, Larkspur sometimes makes things worse. 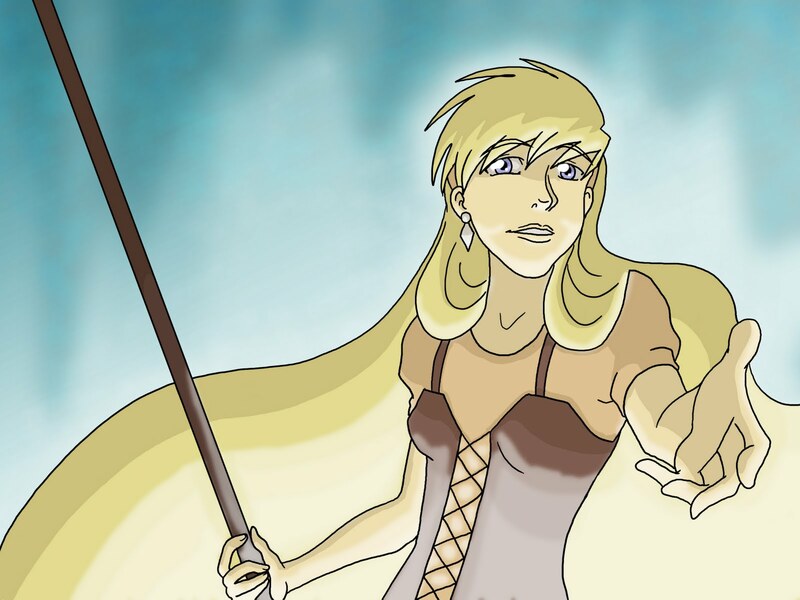 Cain is drawn to Larkspur because of her femininity, gentleness and her singing voice. They are similarly polite, courteous, socially awkward (though Cain's is because he is an introvert) and have similar values and faith. Sometimes their similarity can be a disadvantage as both will awkward each other out in conversations. Cain's strength and resilience through the hardships he's persevered through inspires her, and she's naturally drawn to someone who is as protective and manly as Cain is. 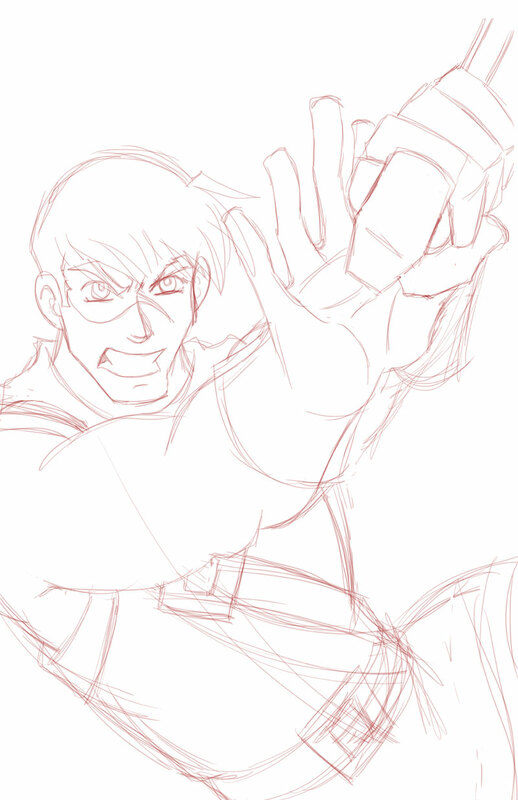 Larkspur and Guile have an awkward friendship. Guile hits on every woman he meets, and Larkspur is uncomfortable being schmoozed by a boy far too young for her. She doesn't have the gall to just snap at him to leave her alone, and so she will gently and stammeringly deflect his advances. When they're not being awkward to each other, they're being awkward together. Rori and Larkspur have a big-sister, little sister relationship. Larkspur has lived a mostly sheltered life and to some extent idolizes Rori because she's a strong, tough and smart woman. Larkspur and Rori test drawing, done around summer 2012 as a test while playing with their designs.